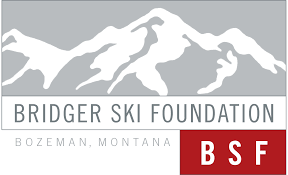 I moved from Maine to Montana... to join the Bridger Ski Foundation Elite Team. The biggest difference between Maine and Montana... is the humidity! To be a great Nordic ski sprinter you must be really good at... understanding the difference between ski speed and effort. “unload some timber” in his suit, minutes before a race. Let me know when it’s time... for dinner! My favorite junk food when training... is sour patch kids. When I missed the 2018 Olympic team by one spot... I spent two weeks at Bridger Bowl riding fat skis with close friends, appreciating snow in a more relaxing way. The one thing about training I really don’t like is... long, mid-level intensity sessions (near lactate threshold). My upbringing was such that it... made me hyper-aware of social class dynamics. When I want to chill I usually... write music, eat a (four) bratwurst(s), hop into my batman onesie. When I hear the word “rude,” I immediately think of... “Rude Boy,” then Rihanna, then happiness. I wish I knew more about... how to convince people empathy is more important than politics. My top tHree priorities for 2019 are... (1) fly around the sprint course at World Championships (2) find ways to see my family more (3) dunk a basketball. Don’t believe anyone who tells you... playing basketball won’t propel you to the top. You might be surprised to learn that... the Bridger Ski Foundation works with over 620 athletes! For me, downhill skiing is... an absolute blast! Please leave me alone... when I’m napping. The last good book I read was... Me Talk Pretty One Day, by David Sedaris. If you see me around town it’s probably because... I was trying to do an errand, but got distracted talking to every third person I saw. I am pretty sure, no, I’m positive that... love and purposeful work are crucial for happiness. Nick Michaud grew up an all-around athlete in Northern Maine, but started focusing on skiing in high school as the Maine Winter Sports Center provided opportunities to travel and compete around the world at an affordable cost. 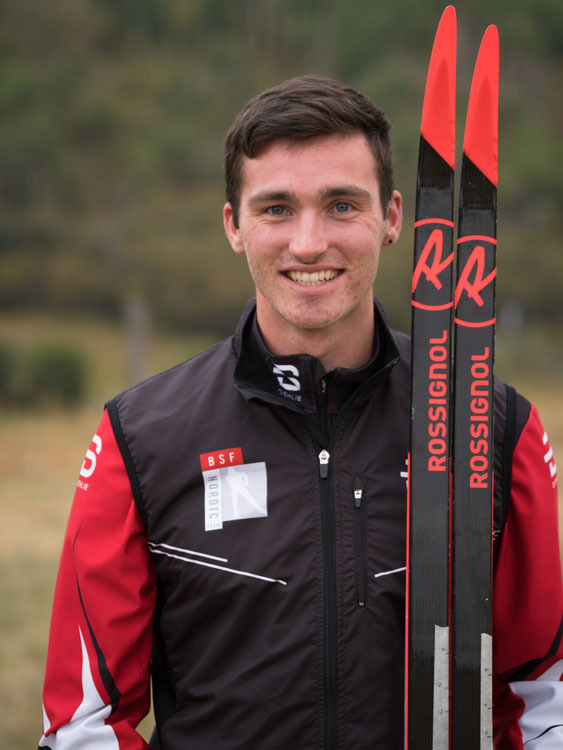 He had a decorated junior career with several junior national podiums, and earned spots on the US J1 Scandinavian Team and US World Junior Biathlon Team. After graduating from Bates College with a sociology degree, Michaud began focusing on sport full-time with the BSF Elite Team, working his way through the national sprint rankings. After missing the 2018 Olympic Games qualification by one spot, Michaud is working toward top-15 performances in World Cup and World Championship racing in 2019, as well as getting his teammates to laugh at more than just 30% of his jokes. When the training hat is off, Michaud works with Thrive’s CAP Mentor program, co-manages 406 Brewing Company, and helps craft reflective music for Bozeman’s grunge-funk band, Dogbush. He is grateful to his sponsors: Bridger Ski Foundation, Rossignol Skis and Boots, KV+ Poles, Toko US Gloves, Spine and Sport Chiropractic, Excel Physical Therapy, Mountain Endurance Sports. VIDEO DESCRIPTION: Nick Michaud (Bridger Ski Foundation) talks to FasterSkier's Jon "FBD" Schafer after winning the first SuperTour race of the season, the freestyle sprint in West Yellowstone, Montana.